Forced migration, and the resultant global refugee crisis, impacts most severely on children and youth, exacerbating their vulnerability and precarious circumstances with particularly devastating consequences for their education and eventual integration into the host society. Education is a basic human right, enshrined in the 1989 Convention on the Rights of the Child and the 1951 Refugee Convention. It is essential for the exercise of many other human rights. The universally-applicable Sustainable Development Goal (SDG) 4 strives for quality education for all, and aims to ensure that by 2030, all girls and boys enjoy complete, free, equitable and quality primary and secondary education leading to relevant and effective learning outcomes. Children and youth affected by forced displacement are particularly vulnerable to losing their right to quality education. A recent report by UNHCR on refugee education globally shows staggering numbers: refugee children are five times more likely to be out of school than non-refugee children. There are around six million school-age refugees under UNHCR’s mandate. Only half of them access primary education and 22 percent of refugee adolescents have the opportunity to attend lower secondary education. In Turkey, for example, less than half of refugee children are presently enrolled in school. In South Africa, about 50 percent of the about 65,000 refugees hosted in the country are children; but while social services and education for all children, including refugees, are guaranteed under South Africa’s Bill of Rights, the delivery of the services has been constrained because of inadequate financial and human resource capacity. At the higher education level, only one percent of refugees attend university, even though higher education is also a human right enshrined in the Universal Declaration of Human Rights (Art. 26.2), and referred to in the International Covenant on Economic, Social and Cultural Rights (Art. 13c) and the Convention on the Rights of the Child (Art. 28c). Access to higher education serves as a strong incentive for students to continue and complete their studies at the primary and secondary levels, and is therefore very important for the life prospects of refugees. Higher education also plays a central role in future leadership, both among refugee communities in countries of exile and in post-conflict reconstruction in home countries. Not having access to primary, secondary, and higher education leaves refugee children and youth particularly vulnerable to child labour, trafficking, abuse, early marriage, and recruitment by criminal groups and armed forces. Bridging the widening gap in educational needs of refugee children and youth faces many challenges. First, 86 percent of the global refugee population is hosted in low- and middle-income countries, which are often already struggling to provide quality education for their own citizens due to limited capacity and lack of money. In most of these countries, resources are now stretched to a breaking point – public schools often introduce double- or triple-shifts, resulting in deteriorating quality of education for both refugee and local students. Second, besides the shortage of educational infrastructure, national education systems of host countries do not respond to the needs of refugees, who already face tremendous challenges. This includes switching to a new curriculum, cultural and linguistic barriers, psychosocial needs and often discrimination and xenophobia at school. Teachers are often not trained to handle the various challenges of refugee children and youth. Different curricula and lack of recognition of learning attainments acquired in countries of origin are also obstacles in continuing education and limit access to the local labour market. Refugees often move countries more than once, compounding the disruption to their educational biography. Furthermore, age restrictions for eligibility to formal schooling can hinder access to education. At the same time, very often the quality of education decreases also for the students of the local population, which often leads to tensions in the school community (parents, students, school management and teachers) and in wider society. Third, limited access to higher education is mostly due to disruption of secondary education, compounded by a lack of information and the absence of advice and individual guidance specific to refugees. Many refugees lack the academic records and certificates from their country of origin required to continue higher education in host countries. Other barriers to accessing higher education are inadequate provision of intensive language courses for academic purposes and restricted access to governmental student finance schemes in the host countries. Not only does the arrival of a large number of refugees demand an increase in educational infrastructure in the host country, but also an increase in well-trained teaching personnel able to handle the additional classroom challenges. It is therefore of paramount importance to address the shortfall in funding for educational needs of refugees in host countries. The international community, as well as bilateral donors, should adequately fund schools, Technical Vocational Education and Training (TVET) institutions and universities in host countries to enable national education systems to provide the schools and well-trained teachers necessary for all refugee children and their local peers to access quality education. International funding of host-country educational infrastructure for refugees is often done through isolated, one-off projects, or in an uncoordinated manner by many different international organisations, bilateral programmes and/or NGOs. It is therefore of immense importance to develop more collective efforts and coordination among donors and institutions involved, externally as well as in the host country, in order to create predictable and more sustainable solutions. Since refugee education is still largely dependent on external humanitarian funding and emergency assistance, it is difficult for host countries to plan for the long-term. Given the protracted nature of global conflicts today, education and skills development for children and youth affected by forced migration cannot solely be addressed by a humanitarian approach. The average time a refugee spends in exile is 20 years. Education therefore also needs to be addressed by development cooperation, both in terms of technical and financial assistance. In this context it is of paramount importance that refugee education becomes part of national development plans or education sector plans, as some of the major host countries have started to do: Cameroon, Chad, Niger, Pakistan and South Sudan have included refugees in multi-year education sector plans. G20 leaders should underline the educational sector as a priority for humanitarian assistance and development cooperation with regard to forced migration. The G20 should clearly address the shortfall in funding for quality education for refugees. G20 leaders should direct additional funds, and redirect existing funds, to the educational sector in host countries. Host countries should better coordinate external assistance in the educational sector, and include their education ministries from the outset of a crisis, so as to help the transition from humanitarian aid to sustainable development of educational infrastructure. We encourage inclusion of education, skills development, and labour market access for forcibly-displaced youth into national development plans. G20 leaders should set up a meeting of education ministers to focus on educational services for refugees. G20 leaders should encourage international organisations and national governments to provide ways to recognise prior teaching qualifications of refugees. This will help them to integrate into the teaching profession of host countries and contribute to the much needed teaching personnel. Although the state has the primary obligation to provide education, NGOs, civil society, and refugee communities themselves make a vital contribution to non-formal and informal education and often are a valuable alternative for those not accessing formal schooling. For those still eligible, these services can prepare students to re-enter the formal school system. These alternative education settings are less bound to strict curricula, and thus can better adjust their timetables and content to the realities of refugee students. They are thus an important short term solution to quickly respond to a sudden influx of large numbers of refugee students. However, international organisations’ and NGOs’ efforts often create parallel structures which are much appreciated as short-term solutions but lack coordination and referral mechanisms to the local formal education systems in order to create sustainable structures that integrate refugees into the regular education systems in the long run. Accreditation of certificates and recognition of learning attainments acquired in countries of origin are central to both continuing education and job-matching in local labour markets. This requires the development of comprehensive accreditation mechanisms and skills tests, so as not to undermine the quality standards of host countries’ professions and education systems. To provide quality education for refugees, a more flexible and inclusive approach to curricula is needed. This also requires supportive structures, for instance additional language courses and psychological support, so as to fully integrate refugee children and youth, including traumatized and disabled children. G20 leaders should address the need for inclusion of refugee children and youth into the formal education systems of host countries and thus provide them quality education, in line with SDG 4. G20 leaders should encourage international organisations to scale up their efforts to strengthen host countries’ education systems with regard to refugees, and redirect their development cooperation programmes accordingly. G20 leaders should call upon relevant international institutions and G20 member countries to enhance their efforts and support harmonisation of education systems worldwide (e.g., OECD’s Assessment of Higher Education Learning Outcomes), to support international initiatives to improve flexibility in education systems in order to keep the door to education open for drop-outs, and to unlock the potential to gradually streamline national education systems to have a more internationalised approach to education and responsiveness towards refugees as well as local students. G20 leaders should support the development of internationally recognised accreditation mechanisms for informal education providers to allow quality educational interventions right at the onset of forced migration crises. (The G20 countries host the most renowned educational institutions, which could cooperate with the International Network on Education in Emergencies (INEE) to develop an international accreditation format for education providers in crisis settings. The accreditation mechanism should be accessible to education providers without time-consuming bureaucratic barriers, and, at the same time, ensure quality education in crisis settings. Important keywords here are an enhanced recognition of prior learning, in order to bridge interrupted education pathways, and the improvement of the flexibility of education systems, including informal education mechanisms. G20 leaders should enhance international efforts for the development of accredited non-formal education, providing accelerated learning opportunities for youth who are not eligible for formal schooling. 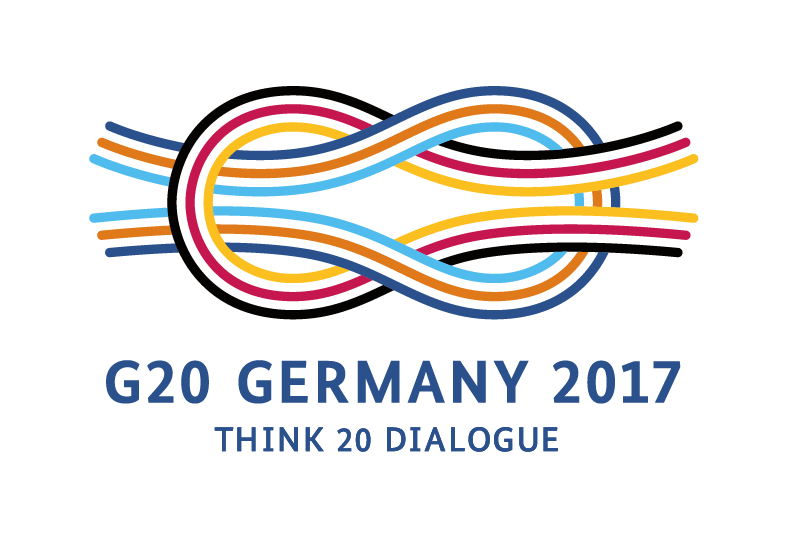 G20 leaders should encourage the establishment of efficient monitoring and steering tools to create a better understanding of the long-term effects of forced migration during childhood and youth on life perspectives, education levels, and skills development of refugees on the one hand, and labour market needs on the other hand, preferably on a global level. G20 leaders should encourage international organisations to fund and coordinate comprehensive studies on qualifications and education levels of forced migrant populations in host countries to better address educational needs and job matching opportunities. The improvement of access to higher education opportunities for refugee youth is one of the key objectives of UNHCR’s Education Strategy (2012-2016). However, figures show that still only very few benefit from higher education programmes at colleges, universities and post-secondary technical institutions. Besides being a human right, access to higher education is of paramount importance for host countries, as well as for the reconstruction and recovery of conflict-affected states globally. Young refugees with higher education could act as a catalyst for the recovery of their home countries, not only by supplying the skills and knowledge needed to reconstruct shattered economic and physical infrastructure, but also by supporting the restoration of collapsed governance systems and fostering social cohesion. G20 leaders should call for strengthening efforts to provide equal access to higher education for refugees, in particular through scholarships. They should also support improving the capacity of higher education institutions to admit refugees, enhancing cooperation between universities and other institutions of higher education in enabling enrolment of refugee students, increasing e-learning opportunities, and establishing new universities in locations where many refugees live. G20 leaders should encourage G20 education ministers to establish closer cooperation channels (for instance ministerial meetings and working groups), and outreach to education ministers of host countries. G20 leaders should also encourage education ministers of the most heavily-burdened host countries to more closely cooperate with labour ministers so as to establish linkages between education and the labour market. International and national organisations as well as governments should increase cooperation in providing mobility programmes for forced migrants pursuing higher education, through scholarships and facilitated visa regulations. This Policy Brief is the result of an extensive consultation process in the T20 Task Force on Forced Migration. This included discussions at the Task Force kick-off workshop in Berlin, Germany, and at an outreach event of the Task Force organized by Deutsche Gesellschaft für Internationale Zusammenarbeit (GIZ) GmbH in Amman, Jordan. We have also received detailed written comments from members of international organizations, political foundations, and think tanks. While these contributions account for the substance of this policy brief (and are most gratefully acknowledged), the coordinating authors Astrid Skala-Kuhmann (GIZ GmbH) and Ismael Nouns (GIZ GmbH) remain responsible for this summary. Special thanks go to Anna Lang (Education Consultant), who provided valuable expert and organizational support. To implement the recommendations, the G20 should consider creating an ad-hoc advisory council or working group on education and skills development in cases of forced migration. It would assume the role of coordinating and supporting concerted efforts of G20 nations, and the international community in this regard. The council/working group could consist of G20 representatives, who are experts in this field, representatives of host countries along with representatives from international organisations responding to such crises (such as IOM, UNHCR, Red Cross, etc.). The council/working group should also consist of subgroups on three key fields: education infrastructure, inclusion of refugees in national education systems, and access to higher education. Members of these subgroups would be independent experts from around the world and from different paths of expertise (albeit related to these areas of focus). The New York Declaration for Refugees and Migrants expresses the political will of world leaders to save lives, protect rights and share responsibility on a global scale. Ensuring that all refugee and migrant children and youth receive quality education and relevant skills development is among the key commitments, among others, in the following paragraphs: 32. We will protect the human rights and fundamental freedoms of all refugee and migrant children, regardless of their status, and giving primary consideration at all times to the best interests of the child. (…)We are determined to ensure that all children are receiving education within a few months of arrival, and we will prioritize budgetary provision to facilitate this, including support for host countries as required. (…) 81. We are determined to provide quality primary and secondary education in safe learning environments for all refugee children, and to do so within a few months of the initial displacement. We commit to providing host countries with support in this regard. Access to quality education, including for host communities, gives fundamental protection to children and youth in displacement contexts, particularly in situations of conflict and crisis. 82. We will support early childhood education for refugee children. We will also promote tertiary education, skills training and vocational education. In conflict and crisis situations, higher education serves as a powerful driver for change, shelters and protects a critical group of young men and women by maintaining their hopes for the future, fosters inclusion and non-discrimination and acts as a catalyst for the recovery and rebuilding of post-conflict countries. 84. Welcoming the positive steps taken by individual States, we encourage host Governments to consider opening their labour markets to refugees. We will work to strengthen host countries’ and communities’ resilience, assisting them, for example, with employment creation and income generation schemes. In this regard, we recognise the potential of young people and will work to create the conditions for growth, employment and education that will allow them to be the drivers of development. In September 2015, 193 world leaders committed to 17 Global Goals for Sustainable Development (the SDGs) to end extreme poverty, fight inequality and injustice, and increase environmental protection by 2030. Education is an integral part of the global development agenda, and SDG 4 sets an ambitious goal on access to quality education: Ensure inclusive and equitable quality education and promote lifelong learning opportunities for all. Education Cannot Wait (ECW) is an education crisis fund designed to transform the global education sector, including both humanitarian and development responses. Launched at the World Humanitarian Summit in May 2016, the fund aims to deliver a more collaborative, agile, and rapid response to education in emergencies in order to fulfil the right to education for children and young people affected by crises.